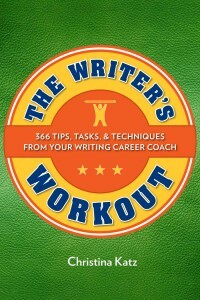 Congratulations to JDR Hawkins, winner of this week's giveaway of a signed copy of Christina Katz's THE WRITER'S WORKOUT! The winner was chosen by random drawing. Thanks to everyone for reading and commenting on The Writers' Lens. This is T.W. Fendley. You can also find me at www.twfendley.com and on Twitter @twfendley.